Critic's Comment: Elaine Small's inspirational memoir manuscript wears its forthright heart on its sleeve, whether she's describing her love for family, her surging-stumbling progress through showbiz and fashion careers and marriages, or her deep-seated religious faith. Covering a lifetime of passionately recorded joys and sorrows, loves and losses and touchingly candid self-criticism, the book moves from her 1930s Winnipeg childhood in a large Ukrainian family to the loss (from cancer) of her second husband in 1983 in Toronto. As Elaine Steele, Small had a short-lived but successful career as a nightclub singer in the 1960s, singing in both the US and Canada, including gigs at the Royal York and King Edward hotels in Toronto and the Ritz Carlton Café in Montreal. Leaving showbiz in the late 1960s to care for her young son, her second marriage was to CFRB Radio host Alan Small. Along the way she carved out a career as a fashion buyer for Eatons, Holt Renfrew and The Bay. Small's life story is entertaining, insightful and inspirational. Her honesty about family relationships, career snags and inequitable gender roles is clear, as are her cultural framing passages showing the social and political ferment of the 1960s in Canada. The passages describing a month-long buying trip to Europe for Holt-Renfrew offer some colourful diversion --including historical notes on England, a tour of Westminster Abbey, and a compelling personal drama in London of Small with her husband. Reader’s Comments: "Memoirs of such singers as Elaine (Steele) Sawchuk are rare. Her book belongs in every music library in Canada....The insights on women in the workplace during the 1960s and 1970s are unique and unusually sincere.”—W. Sydorenko, editor of Cathedral Bells. 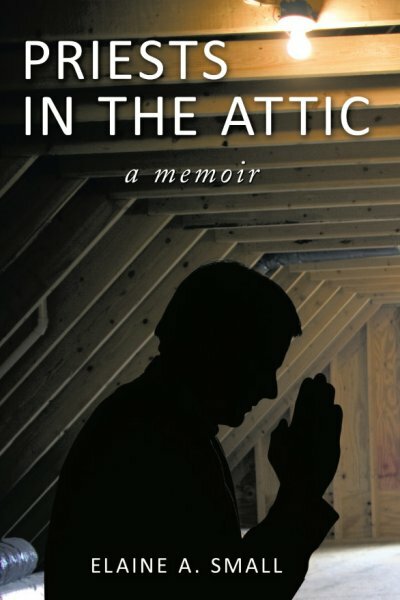 “The vivid description of the priests at the father’s funeral was truly amazing—descriptive and keen observational powers at work.” —WL Literary Agency. “I love Small’s style. It’s hard to put this book down. I like the mix of telling her story and combining it with reverie.” —Mary Thomas, Book Club Chair, Pelican Sound … Estero, Florida. - Or Download mp3 & listen later. 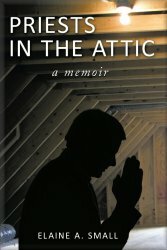 Author's Comment: "There were seventeen priests at my father's funeral." So begins my literary memoir, a tale of love and loss cast in Toronto during the tumultuous 1950s-'70s. These early years of my journey take you through much success and some failures in careers, marriages and family life while describing some tough lessons learned on my rocky road toward personal faith. I consider this book to be timely in light of the ongoing energy prevalent in the burgeoning Boomer/Zoomer population. Their vast numbers, some 11 million in Canada alone, continue to dominate and influence today's collective conscience through their feisty attitude towards aging. Hopefully my book will resonate among them and you. Perhaps you'll read it and remember some of your own battles and recognize your own wrong choices made within the social mores of our day. Perhaps, like me, you'll remember your past and ruminate on your resolved problems and concurrent good fortune with pleasure-in that order. This, at least, is my hope. Elaine A. Small, nee Sawchuk, was born and raised in Winnipeg, Canada. At age twenty she left home to pursue her dreams, and has since resided within the Toronto area. 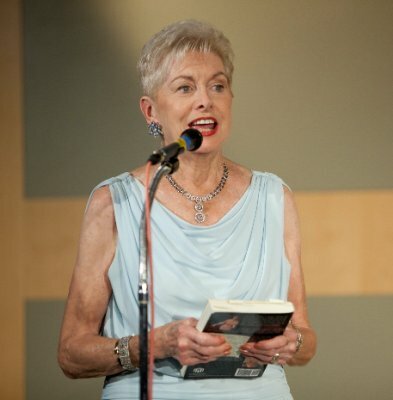 After several careers including that of an X-ray technician, a professional singer, a European fashion buyer, a real estate agent/investor and a B&B operator of Tara Hall in Wellington, Ontario, Elaine returned to York University to follow her life-long interest in writing. Elaine continues to write daily at her home in Belleville, Ontario, not for gain, but for the love of words and their creative silence. Amazon.com | Barnes & Noble | Chapters-Indigo | Amazon.ca | Borders | Books-A-Million | Buy.com | Shelfari | Booktopia | Greenley's in Belleville and many more! * Or direct from Author: ( credit card - paypal ) accepted.